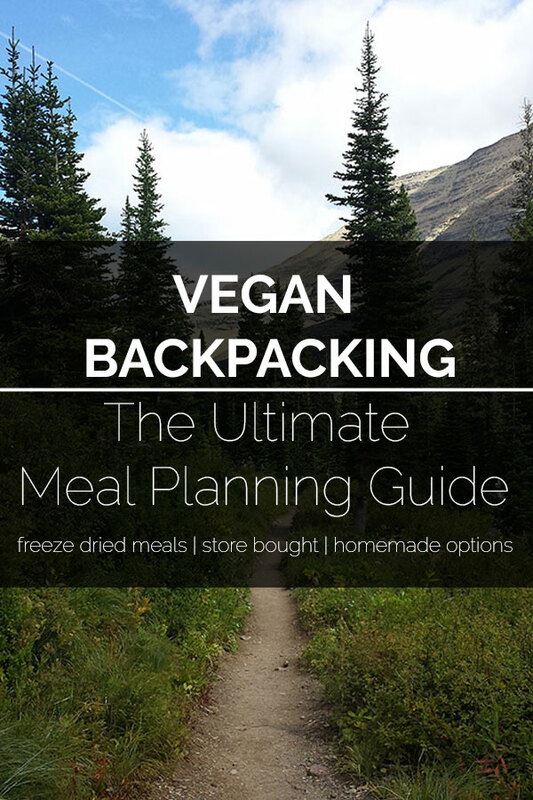 Have you ever made any of your own backpacking gear? Cat food stoves are a type of homemade backpacking cooking stove. They’re called “cat food” (A.K.A. Super Cat) stoves because they are typically made from an empty Fancy Feast can. 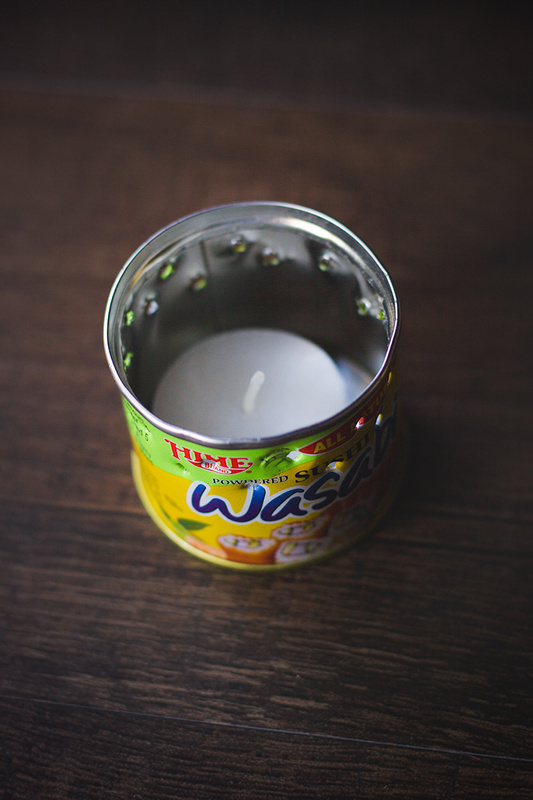 However, you can make a stove out of any small lightweight can. 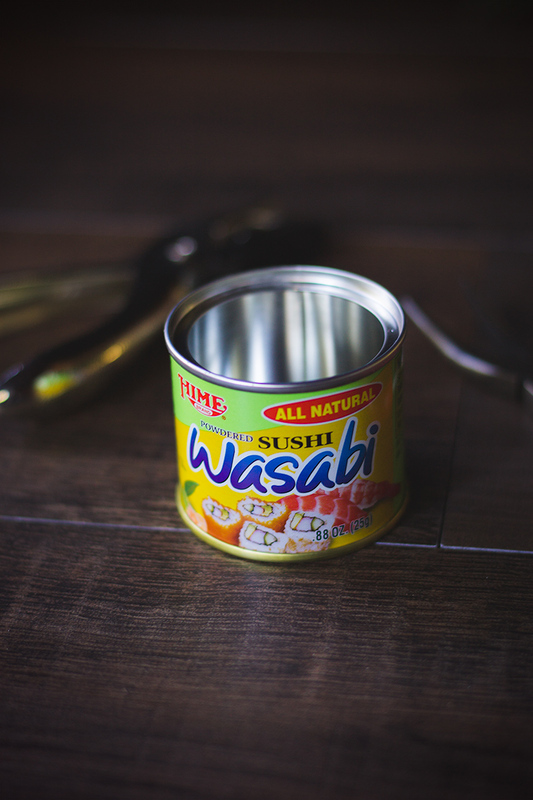 A couple of days ago I was about to toss out an old wasabi can when I realized that it would probably make a great stove. make a second set of holes under the first one. With a cat food can, a hole punch will work to make the hole. The wasabi can turned out to be too strong for this to work. So I made the holes with a hammer and nail and then enlarged them by inserting the end of some needle nose pliers and twisting back and forth until they were the desired size. 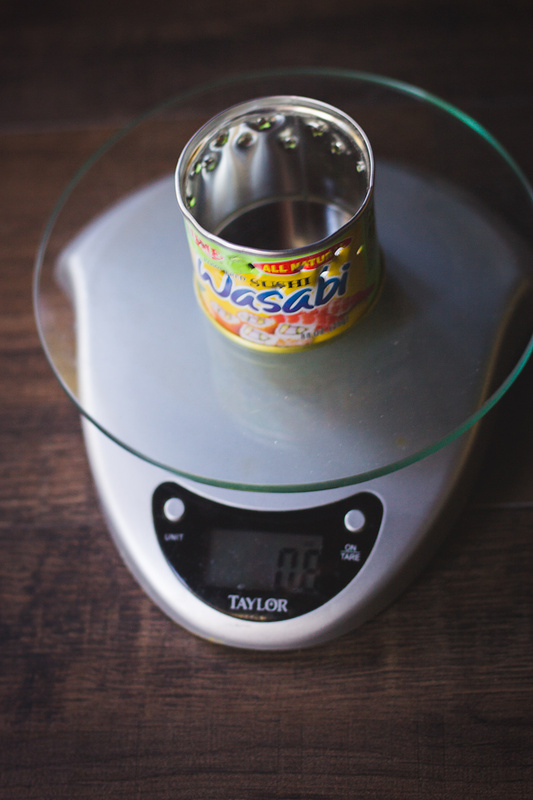 At a 2in diameter and a .8oz weight, this stove is slightly heavier and more narrow than a cat food can. To use the stove, add the alcohol of your choice. 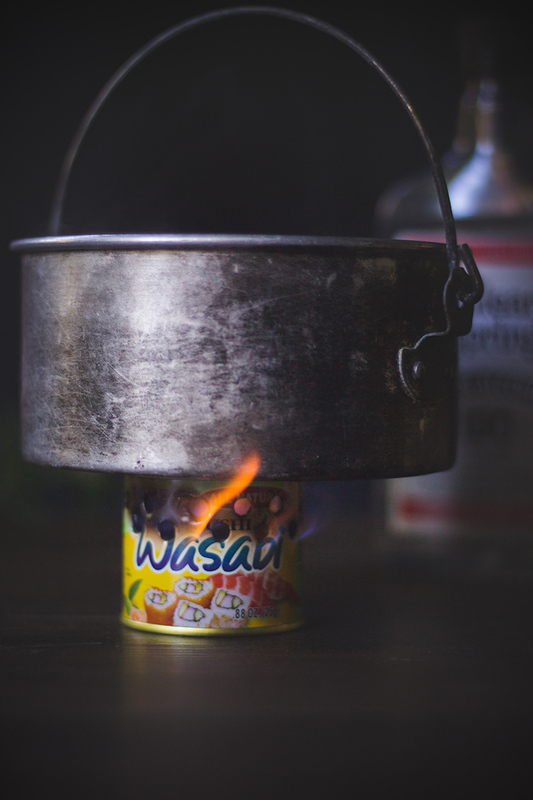 Ignite the fuel and wait a few seconds before placing the pot on top. I’ve always wondered how to make one of these stoves. Thank you for sharing!